LESN is amongst the earliest Hong Kong labour NGOs setting up programs and labour centres in mainland China. Their focus lies on right-based services and capacity building, as well as on supporting worker’s initiatives of self-organizing. LESN facilitated the establishment of several labour centres in Pearl River Delta while conducting extensive direct programs to workers in factories and communities. In order to explore and broaden their work in mainland China, they have established a broad network of working partners ranging from local labour organizations, lawyers, academics to the international labour movement. 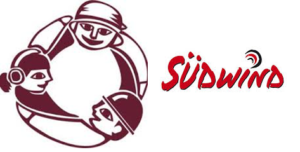 Südwind is an independent NGO which informs about development topics in order to shape politics and economic structures for a more just global system. Besides their bulletin “Südwind Magazin” they have two main departments, one about education focusing on global education and one about campaigning with partners in Europe and all over the globe. Südwind closely cooperates with international partners to share information in Austria and Europe with various stakeholders, students, teachers, politicians and the wider public.